Can you read? Here is the reading challenge which will make you think. 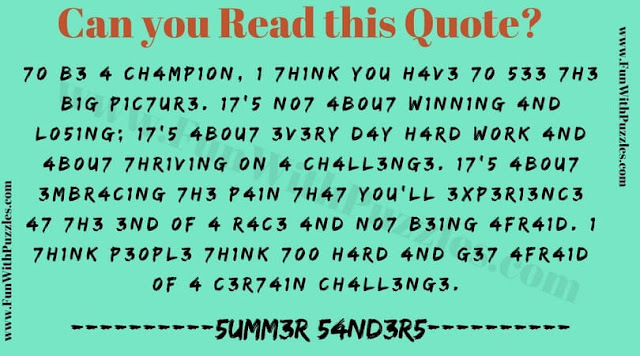 Your challenge here is to read the given quote. In this quote some of the letter of the words in the quote has been replaced with numbers. However if you think carefully, you will be able to solve this reading problem. Just see if you can read, think and solve this problem? Answer to this reading challenge can be viewed by clicking on button. Please do give your best try before looking at the answer.